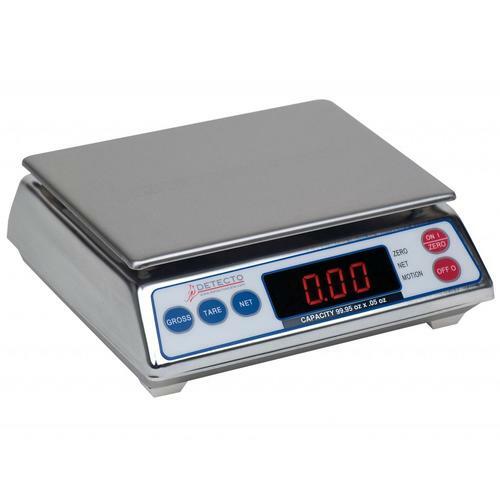 These rugged, all-purpose stainless steel scales with their wide range of capabilities make them uniquely suited for a number of operations such as food service operations, industrial applications, the chemical industry, or in food, drug, or hardware retail establishments. They are "legal for trade," meaning they can be used for commercial weighing. Special overload stops prevent accidental damage during their use. Advanced features, such as Detectos exclusive setup review feature allow the operator to tailer the weight display to specific needs such as response rate, vibration filtering and other operational parameters.